Who can engage in environmental and animal studies? 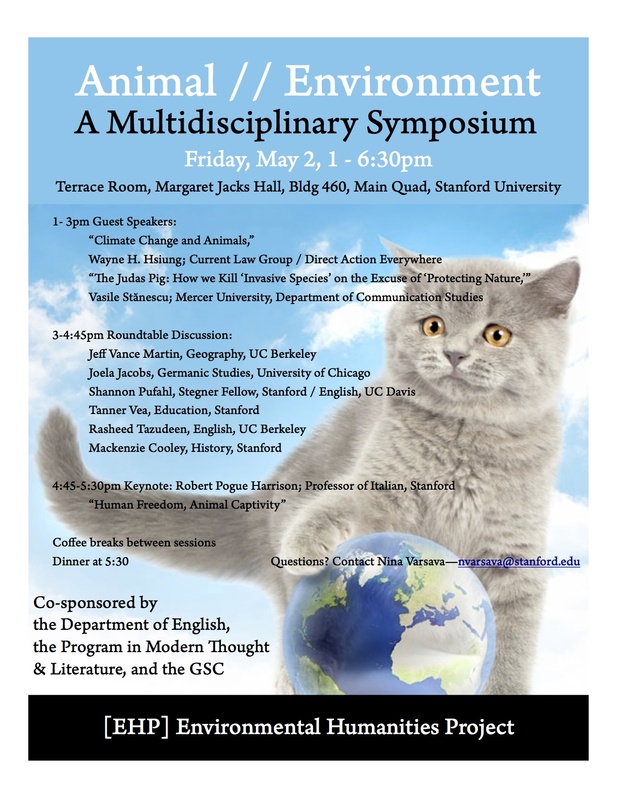 On May 2, 2014, I joined an interdisciplinary panel of scholars to discuss the intersection of animal studies and environmental studies in the humanities and beyond. My paper, “Who can engage in environmental and animal studies? STEM, ethics, and learning to relate to the natural world,” provided one answer to the question of how academics interested in environmental and animal issues might pursue an impact beyond scholarly discourse. I argued that education/humanities hybrid approaches that engage youth in complex moral questions about their relations with the living world can help expand the ethical discourse around these issues — and support young people’s sense of ethical agency. Copyright © 2018 Tanner Vea All Rights Reserved.